This Soft Close Wood Drawer is perfect for kitchen or bathroom storage. The drawer glides out of the cabinet on luxurious soft-close slides eliminating slamming. The drawer is made entirely of wood. Alexandria Moulding Stair Parts Adjustable Wrought Iron Basket Baluster 1/2 In. x 1/2 In. x 38 In. The new adjustable wrought iron is the perfect do-it yourself solution to revive your stair railings. The telescopic shaft and swivel top is designed to fit any stair angle and railing height up to 38-inches. It is a quick and easy transition from the traditional wood stair case to wrought iron. It is available in four different styles. This three-piece coffee table series leaves nothing to be desired. Solid wood veneer, with a walnut finish and silver trim, is engineered to give each piece long-lasting stability and durability. Two square side tables and the rectangular coffee table each have a large open shelf at the bottom, perfect for storage items like boxes and baskets. The tabletops provide plenty of space for daily living essentials and decorative items. Supported by slanted legs and clean lines, this set creates a unique design to be adored. 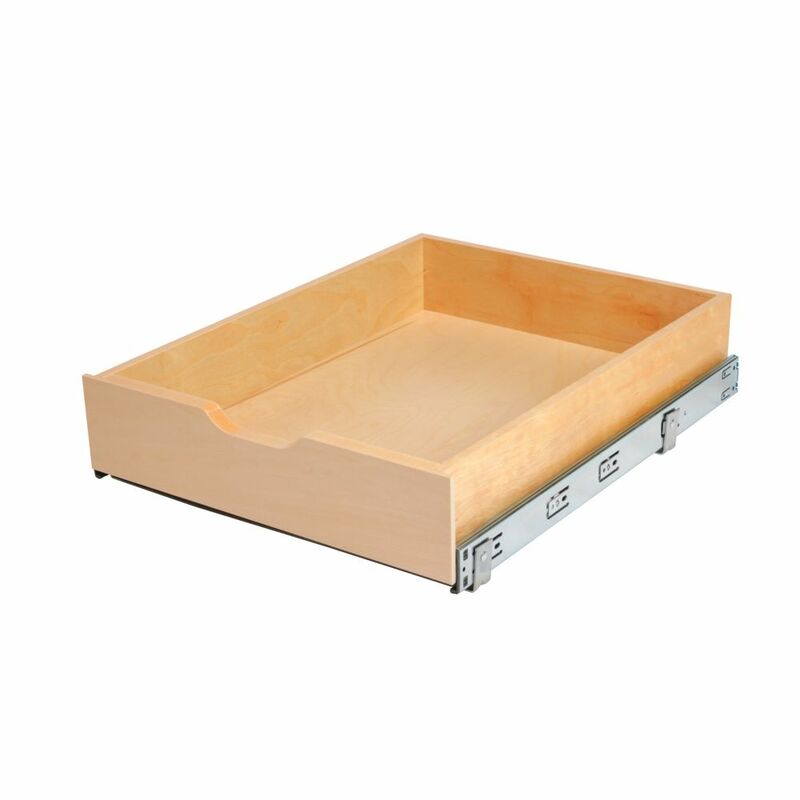 17 inches Wood Mulit-Use Basket This Soft Close Wood Drawer is perfect for kitchen or bathroom storage. The drawer glides out of the cabinet on luxurious soft-close slides eliminating slamming. The drawer is made entirely of wood.